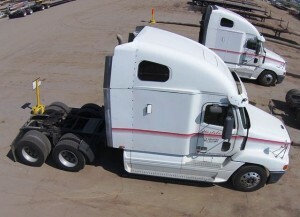 Weststar offers a modern trucking fleet of Western Star tractors. Our fleet meets all California Air Resource Board requirements. Weststar offers over 350 trailers of every configuration needed to support the oil & gas and industrial construction industries. We have a large trucking fleet of fully licensed and qualified drivers familiar with all the oilfields in California. This definitely gives Weststar an edge in providing cost effective and on time delivery of any goods or product a customer needs. We have the best drivers in our industry and are proud of the work they perform every day. Partner this with a modern roster of equipment and a commitment from management to technology (in cab GPS, 360° backup cameras, touch screen monitors to message with dispatch) and you have a formula for success. We also have the largest trucking fleet of high bed, low bed and process trailers in the state and are committed to customization to meet any customer’s needs. crane fleet is ready for dispatch. 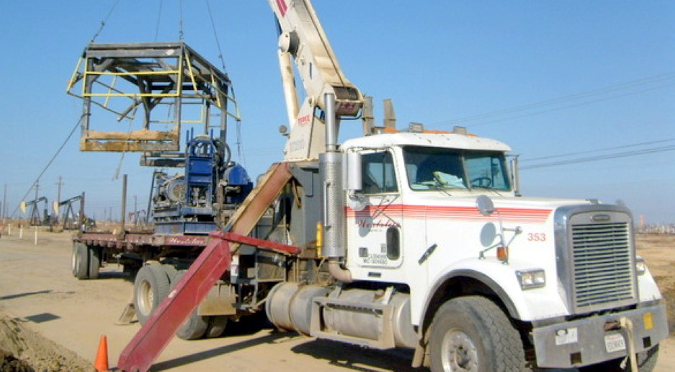 We will lift and set any item a rig may need to complete, repair, or abandon a well and any facility or maintenance job you may have. We employ only NCCCO certified crane operators and take pride in having the most competent and hard working group of operators in the industry. In addition to our standard trucking and trailer operations, we offer full truck mounted crane service. Our operators are certified and experienced crane operators, well-equipped to handle whatever job you need completed. Our safety coordinators and crane logistics specialists will plan the job details necessary to perform at the highest level.